Henri Rousseau has put me in a green mood. How we can bring some green in our home without making big changes. Lets take a look, you will see it is easy. Simply adding an accent colour can change the mood of a room completely, or if you want to make a bigger impact than we can paint the walls, re-upholster the sofa and add some new objects. We will start by making a color range, and as I said: Rousseau has inspired me to go green, so let us take a look on 2 of his paintings. The summer is bringing us in an exotic mood: colourful, powerful, cheerful. Bright color combinations. Let it sparkle, you can mix the colours, don't be afraid. You will see that I have 2 colours which I added as an accent color, they will make it playful. The burned orange is bringing a touch of warmth, and the dark green is giving the whole colour range some depth. If we would bring the burned orange in the same amount as we have the other colours than it would take all the attention, there would not be a balance. You would like to add some green, but not that bright green. Take a look around in nature and you will see that there are so much different green tones that for sure you will find the green fitting your character or the colours you have already in the house. Much softer color range, easier to adapt and it will also resist longer in time. And do you see another difference? The colours are not mixed as if they would be thrown in the air and just fall on the table in a random order. They are going smoothly from one colour into another colour. Pleasant to the eye. But also here we see we have one colour, the accent colour, which comes in a smaller amount. The same principal as we had before. An accent colour will always make your room more interesting, it will attract all attention. So now that we have the colours we can think of some object, easy add to the room without spending a fortune and with quite some impact. Plants are the first things which come to my mind. Plants will fit each interior. 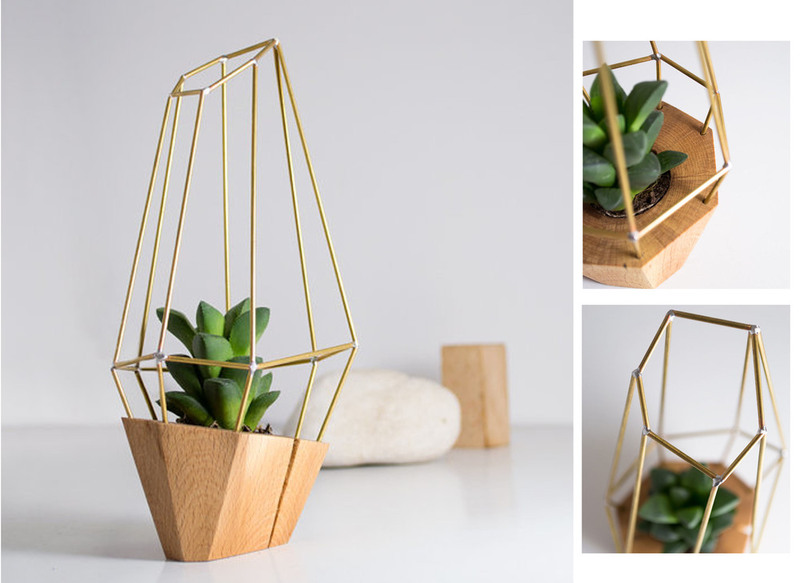 This Planter will put all the attention to the plant, it is discreet, modern, graphical, perfect for a small room as it visual doesn't take space. Even the smallest cactus will be as a piece of art in this elegant wooden planter, to be put on a shelve, on your desk, in the bathroom, put a few next to each other to make a statement. You like more a minimalist approach? 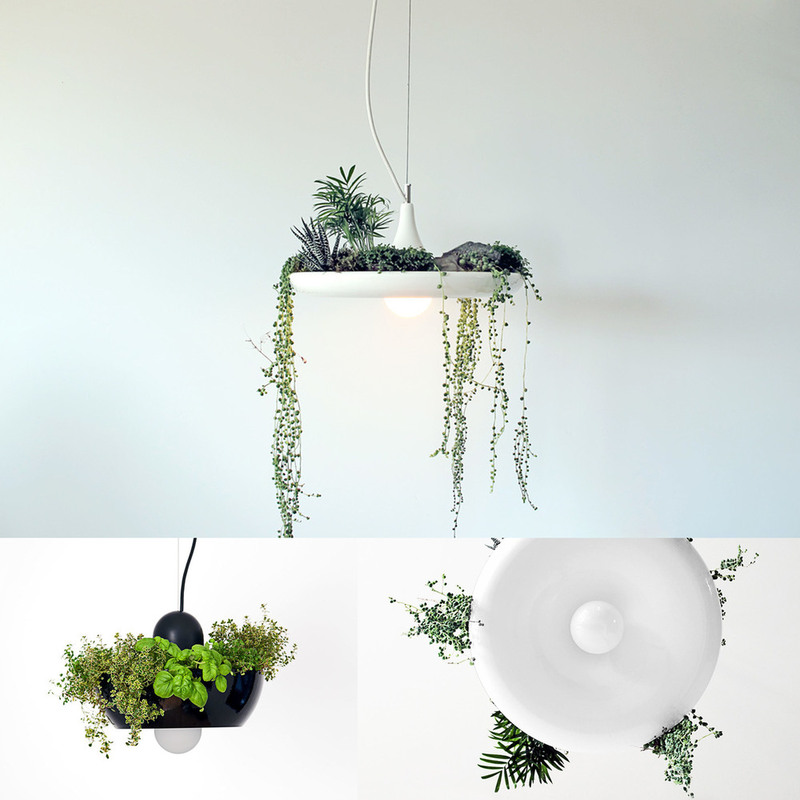 No problem: plants come as minimalist or as baroque as you want, they adapt to whatever interior. Just cut some big leaves, put them in a simple vase and they will be the focus point in the room. A surprising lamp: a cool simple lamp gets a poetic touch once when it is combined with those plants, when I saw this lamp the first time it was love on first sight. Hope to find soon a project in which I can use it. You have no green fingers but would love to get some plants in the house: printed cushions could be a perfect match for you. Floor cushions for a relaxed moment, you just drag them around: they will follow you in the garden in summer, in winter the summer memories will make you smile. You can't go wrong when you mix different green tones, small motifs or structures, but go than one step further and add just 1 cushion in another colour. Keep it safe with neutral colours and a touch of green. You want to go bold? Mix prints with stripes, green tones and more than just one accent colour. Pierre Frey is bringing the same design as well for cushions as for serving trays. The French know how the party in summer. Recycled glass gets a design touch by Tord Boontje. They can make a perfect center piece on the table with or without flowers in it. Now you are completely in the summer mood? Which room are you going to give a re-look? Think of a nice colour harmony, and maybe start by adding some colour touches, a nice flower arrangement, a big plant in the corner. Or maybe you took some nice pictures of nature during your last holiday: print them big and put them in a nice frame. Would be great to see some of the re-looks you are going to do. A corner you are going to give that special touch. I'm curious: yes, why don't you just send me some pictures?